The first batch of cookies I ever made was when I was 10 years old. I didn’t yet understand that all of the ingredients were necessary for the success of the recipe, and since we didn’t have any baking soda in the pantry I thought, “No big deal, I’ll add more flour instead”. They were rock hard and awful. So awful that my older brother took a few outside and hit them with a tennis racket to see how far they would fly, before he decided to aim a few at me- ouch! 1. My brother could turn anything into a weapon. I never quite lived the “cookie-missile” story down. I was teased for years about my lack of kitchen skills; and it did get much worse before it got better. But like everything else, when you’re not good at something you need to learn how to master it. And now I have an arsenal of fool-proof baking recipes because of my undying determination to not let my family be right. 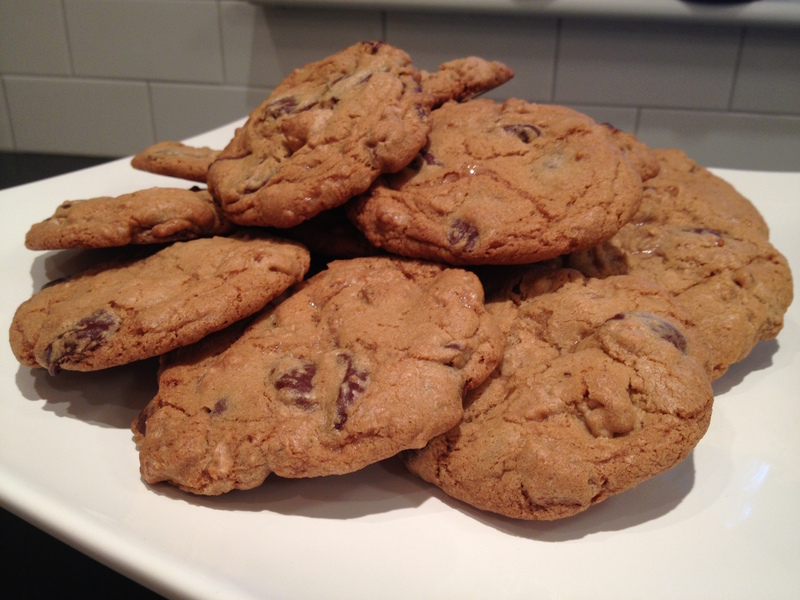 The reason I bring all of this up is because we recently had a dinner guest over, and I had baked my not-so-famous-but-utterly-amazing cookies. Our guest quickly ate two very large cookies, and happily accepted a bunch to take home, I couldn’t help but feel vindicated. 2 1/4 cups of “chips”: I use 1 1/2 cup of 60% cacao, 1/2 cup of toffee bits, and 1/4 cup of walnut pieces. But you can play with your own combo- it will work with anything. 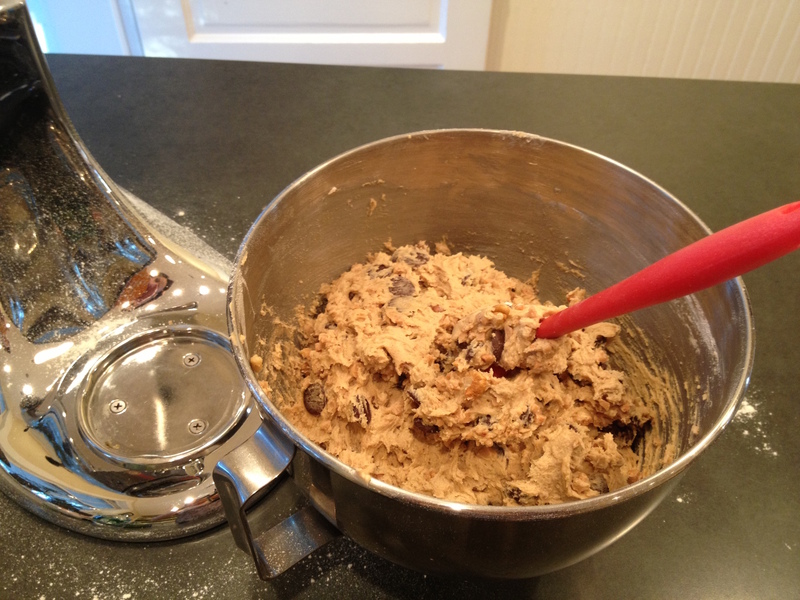 Stop the mixer, and scrape the sides of the bowl before adding the eggs and vanilla. Mix for a couple more minutes. In a separate bowl, combine your dry ingredients: salt, flour (weighed! ), baking soda, and baking powder. 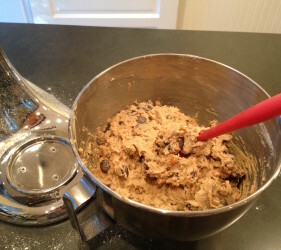 Then in small batches add it to wet mixture, on a slow speed, until the cookie batter is thick and mixed. Incorporate your chips into the batter, it will be some tough stirring! 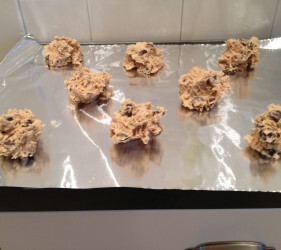 Line a baking sheet with foil or parchment, and drop heaping tablespoons of dough in a staggered pattern. 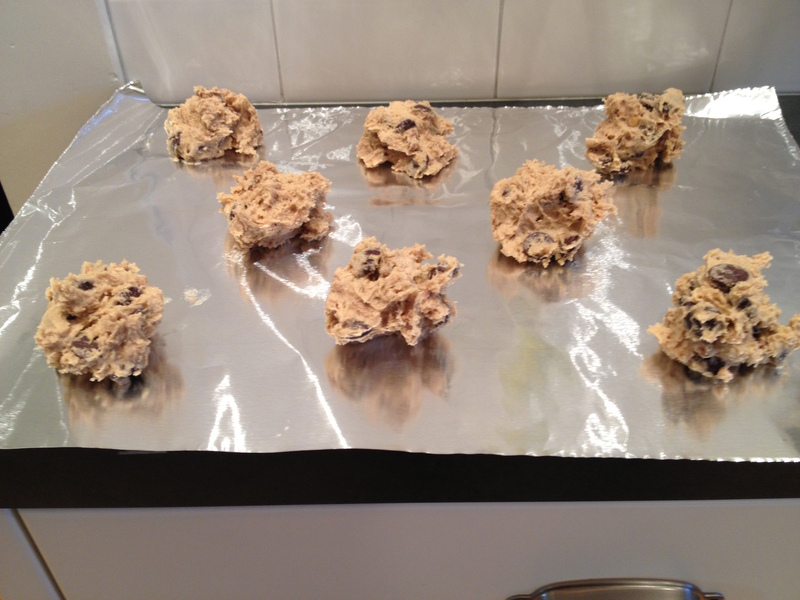 They bake for about 15 minutes (maybe less depending on the size of your scoop) but they should be a deep golden color. Ever have flat cookies? This is because the butter in your dough is too soft by the time it makes it into the oven. Keep that from happening by chilling your dough before you bake. Whether your chilling the whole bowl of dough, or scooping your dough on a baking sheet and refrigerating it for a few minutes before it goes in the oven. What if you’re not in the mood for 3 dozen cookies? 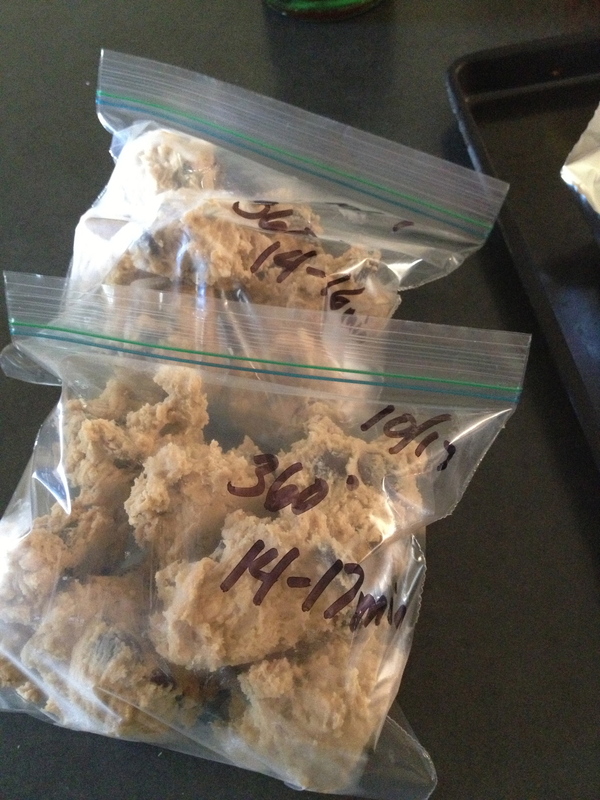 I will still make the recipe the way it reads, I’ll bake as much as I need, then scoop the rest not a baking sheet and freeze them, once they are frozen I’ll transfer them into a bag with baking instructions.